I enjoy traditions, which is why we photograph my annual Thanksgiving Day outfit in exactly the same spot every year. It’s the stone bridge at the arboretum, close to our home. Colourful Autumn foliage has reached its peak, but the woodsy scenery of the arboretum is just as pretty. My favourite part is how the moist Seattle air keeps the moss and grass looking gorgeously green. It’s important to wear comfortable clothing for Thanksgiving because it’s a day of cooking, feasting, snacking and laughing. This year I’ll wear a trouser ensemble that I’ve worn quite a bit when working with clients. It features two items I bought at this year’s Nordstrom Anniversary Sale: a cream Vince boat neck rib cashmere pullover, and pleated glen plaid cropped wool pants. Bonus that they work well together. The trousers are an acquired taste with their pleated, high-waisted silhouette and “flooding” cropped length. I fell in love with the bottoms at the NAS because they’re trendy, plaid, dressy, structured, impeccable quality, and different to what I had in my trouser capsule. They’re also a throwback to trousers I wore back in the ‘80s — a nod to my Modern Retro style sensibilities. The defined waist of the trousers makes them flattering to my eye, as long as I wear them with tucked tops. That styling strategy lengthens the leg line from the hips upward, which offsets the short-legged look of the cropped length. The tuxedo stripe down the side seams and the crease lines down the front and back further accentuate their vertical integrity. The trousers look professional, crisp, don’t crease, and are quite timeless. They’re also very comfortable, so it’s no wonder that I adore them. The fluid fit of the cream tucked cashmere pullover adds a soft and pretty vibe to the outfit, complementing the masculine vibe of the trousers. I first tried wearing a sleek black turtleneck with the trousers, but that looked off: Harsh and waist shortening. The boat neck visually widens my shoulders, and the blousoned volume relaxes the combination. These proportions worked better with the high rise of the trousers somehow. I further “prettified” the outfit by adding tailored cream booties, and a ten year old chunky pearl necklace. The trousers would look more traditionally flattering at a regular length, but then you wouldn’t see the cute design detailing of my boots! A new animal print bag adds a maximal patterned mixing touch to the outfit. The eight year old cream wool coat showcases my love for light neutrals. I enjoy how the black buttons of the coat match the black elastic of the booties, and create a twinset effect with the pullover. Retro sunnies were used for the photo shoot to stop me from squinting, but I wear my bright green specs most of the time. This outfit hits four important points for me. One, my growing fondness of earth tones. Two, the joy that I derive from sporting trendy pieces. Three, my desire to define my waist. And four, the satisfaction I get from remixing new pieces with old wardrobe items. We’ll be celebrating with my dear friend Meredith on Thursday, with Thai mashed sweet potato, ginger green beans, and South African bread pudding as our contributions to the Thanksgiving dinner. Can’t wait. What fun! As always you look divine and the photographs are amazing. Wishing you and Greg a Happy Thanksgiving with your friends. Thai mashed sweet potatoes sound interesting and yummy. What a lovely outfit for you Angie! But absolutely impossible to wear for me. Those proportions would kill me! Happy Thanksgiving! Delighted and exactly like expected, so so Angie like! Crisp whites are your signature, and they really make for a special occasion outfit especially in the gloomy rainy season! All items look so perfect and stylish piece by piece but styled together here they are making really a big impact. Also, I love chelsea boots for exactly the same reason you said: the pop of black on the elasticated sides matching some of my other blacks in an outfit and I love my tweedy crops, too:-). Angie, I absolutely love this outfit. I love the color combination, the textures, the silhouette. Every detail is perfection! Greg’s pictures are so wonderful. You and your outfit fit right into the beautiful fall scenery. I hope you, Greg and your friends enjoy your Thanksgiving! Wow! You have nailed your new style perfectly. 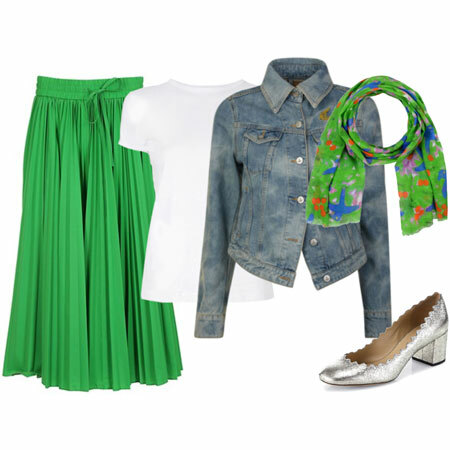 This is certainly an outfit that you can put on, forget and be completely FABULOUS! These picture are really breathtaking. Greg did an outstanding job. Very lovely fit. I like the retro in the pants and the look as a whole. All beautiful and I love your hair! I am another fan of this outfit Angie. I also remember wearing pants like this in the 80s. I wish I had somewhere to wear them now. The way you have styled them is so beautiful. Love the photography. Hope you enjoy your Thanksgiving dinner. It sounds wonderful. Angie, you wear those earth tones beautifully! I love the boatneck top and the plaid of the trousers. I love the details at the waist! I would need to wear slacks without pleats. Extra volume anywhere near my tummy makes me look frumpy and feel a wee bit grumpy. Frumpy and grumpy are style no-nos. there is an lightness and brightness to this outift, that for me, is what makes this outfit extraordinary. Happy Thanksgiving to you, Greg, Sam and the rest of the US YLF family. Everything is just perfect about this outfit! The pattern mixing is truly lovely. I find it very interesting that you found a black turtleneck sweater waist shortening with these pants, which is the opposite of what I might have expected. Further proof of how important it is to try things on, as you keep reminding us. That sweater is to die for! My mom used to make a chocolate bread pudding occasionally when I was little, your Thanksgiving menu items reminds me of it and it’s a happy memory. It’s so much fun to bring different food traditions together for this holiday, isn’t it! . Beautiful head to toe! Your outfit brings a smile and demonstrates the power of adding a bit of cream to earth tones. That would make them more wearable with my coloring. Love your crops with that top and the booties. The coat is perfect, too. Happy Thanksgiving to you, Greg, Inge, Sam and the entire YLF team! Your menu items sound delicious. Delightful! Those pants have such great details. I love the way the coat and the boots echo each other! I am so drawn to cream coats with black buttons. I have a cream puffer that can be tossed in the washer, but have always feared owning a cream wool coat. 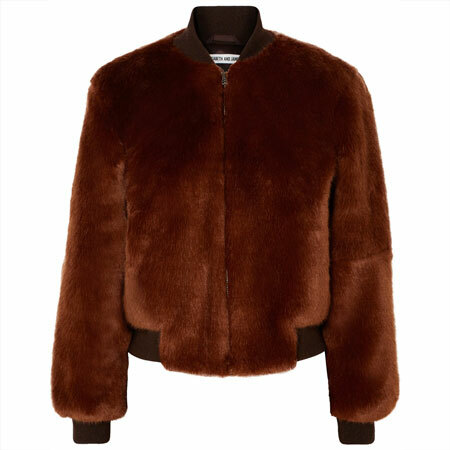 I picture bringing it home from the dry cleaner’s, putting it on, immediately brushing against a car dirty with winter slush (or worse, the black grease in the car’s door jamb) and taking it straight back to the cleaners. Sigh. Happy Thanksgiving, Angie! What dish will you make this year? I adore everything about this ensemble. It is perfection. What a lovely outfit, and so you in so many ways, Angie! I am glad we finally get to see so many of these pretties in action! I too am attracted to tuxedo side stripes and creases on pants for their leg elongating effects. I also share three out of your four style points (minus the Earth tone affinity) – I have enjoying hauling out older stuff recently, wearing trendy items and defining my waist. I hope that you and Greg have a wonderful Thanksgiving celebration with your friends and am very curious about those Thai mashed sweet potatoes. You look absolutely stunning in those lovely, seasonal earth tones! Fabulous outfit. Wishing you and Greg (and your friends) a wonderful Thanksgiving. What a fun treat! Modern and retro, earthy and graphic, comfortable and polished – a beautiful Thanksgiving day outfit done Angie style! Have a wonderful holiday. You look lovely in those colors! And that necklace is TDF. The necklace adds just the right finishing touch. It all looks great on you. Very pretty – and the earth tone grouping absolutely suits you! Have a lovely Thanksgiving weekend, and I too am curious about Thai mashed sweet potatoes I will say to – I have never been a fan of white or cream boots , but I’d definitely wear these . I’ve seen the K&K line at The Bay here, including these in grey suede…. Those pants are uber cool. Will the buckles loosen to permit the consumption of plenty of bread and butter pudding? (Still have fond memories of making that one Thanksgiving based on your recipe!). Happy Thanksgiving, Angie! I’m so ready to explore new pant silhouettes, and here you are, leading the way! Love the waistband detailing. The one thing that keeps me from crop flares in winter? I don’t like the way they look in homes when I remove my shoes. When it’s warm enough to go barefoot, that’s not a problem, but I think they can look awkward with socks. What do you wear underneath your booties? Lovely retro fabness! Those trousers are great and the quality of them bounces off the screen. They suit you so well Angie, with just the right amount of volume. I love all the ivory/white tones in this look too and the way that the pearls and patterned bag finish things off so nicely. Gorgeous photography as usual Greg! What´s not to love about this outfit? 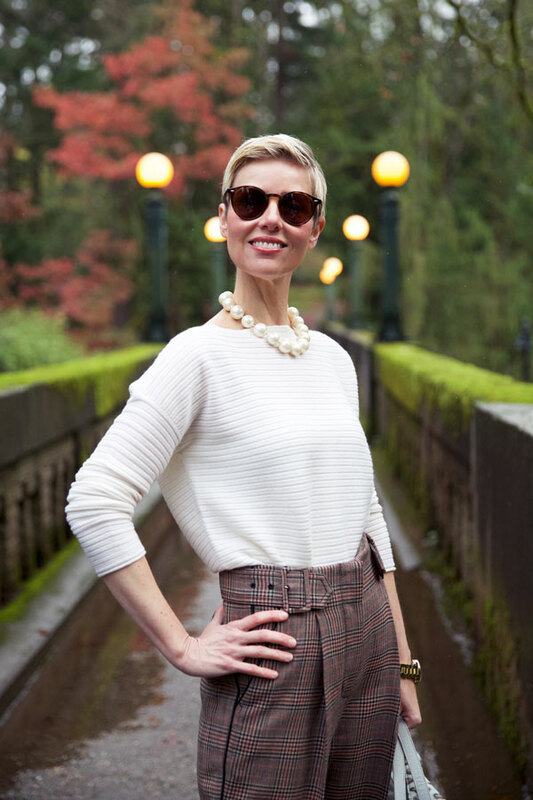 Cashmere, plaid trousers, pattern mixing, old/new plus the gorgeous person wearing it! Have a very happy Thanksgiving, Angie!! I couldn’t wear those trousers but I love the look of them, even though they are earth tones and plaid! It seems like every pant is cropped these days and too many just look like a shortened pant to my eye. 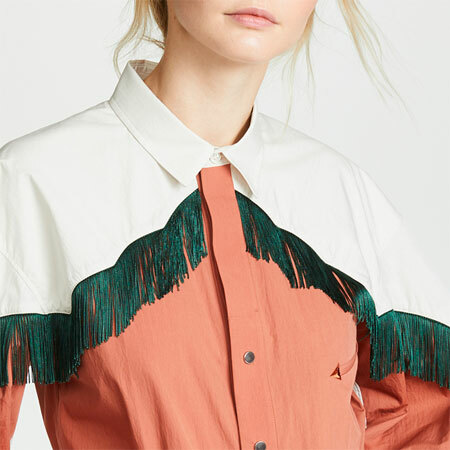 With these, the length, combined with the other trendy design details, appears to be more of a style element that works with the overall silhouette, if that makes sense. You wear light neutrals beautifully; the sweater is very flattering and looks so cozy. Cream coats have always appealed to me and I love the black buttons on yours. How fun that your booties echo the colors! Happy Thanksgiving to you, Greg and sweet Sam! Tailored and so elegant. Angie, you look beautiful. Wishing you a very happy Thanksgiving! Love the trousers and the beautiful luxe sweater on you, Angie. The whole outfit is as delicious as I am sure your dinner will be. I hope you have a lovely celebration. Love your swept back hair, too! Very harmonious colors for you. I’m surprised I like the pants as much as I do. Always such a treat to see your WIWs in action! You look radiant Angie, love the hair and earth tone pallette! Gorgeous photography as always! I love your hair this way – you look so striking. This is my preferred way of maximal dressing – each component is interesting and work beautifully together. I hope you have a wonderful Thanksgiving. 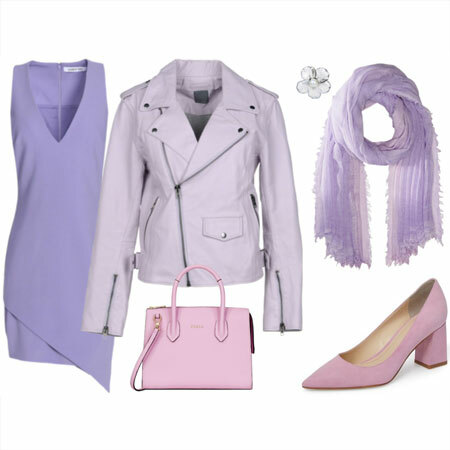 That’s a beautiful outfit, Angie, and it suits you so well–both style and colors. You look fab as always. I wish you and yours a very Happy Thanksgiving! What cool trousers! I would not be able to pull them off (although weirdly I would totally wear a skirt with the same waistband) but you wear them so well! I want to know about the bread pudding! A beautiful outfit, Angie, and perfect for the occasion! It’s a good thing your super-power is never spilling on yourself, though, because it would take me about ten seconds to have cranberry sauce on that beautiful cream sweater. You are perfectly dressed for Thanksgiving. I love the care you take putting your outfits together. Those pants are amazing. I’m in love with them. Beautiful photos! You wear those trousers so well, and I like your new earthtone palette as well. I wore something similar back in the day (couldn’t pull it off now and not so sure I did back then). Happy Thanksgiving to you and Greg! I’ve been anticipating an outfit pic for such a long time. Well worth the wait…fab!! Have a wonderful Thanksgiving with your family and friends! Your contributions to the feast sound yummy! Great outfit! I love your new trousers – they look fantastic with the cream sweater and pearls. Wow. Thanks for the awfully kind words, ladies. Jjsloane and Bella, GREAT to see you back on YLF. Thanks for the lovely compliments. Lyn67, I love wearing white and cream – and the rain and gloom does not stop me! High five to another tweedy crops gal, and I appreciate the kind words. Staysfit, I’m blushing. I can see you in the same look and colours. HAH, quietgirl, you make me laugh. Fun that you enjoy counting your WIWs. Thanks Ledonna, Sanet, Maryanneyoung, Helen11, Ele Cee, Alexandra and delurked. You’re lovely. Style Fan, the ‘80s were fab, weren’t they. Get trousers like these and just wear them. You don’t need an occasion. kkards, I enjoyed your assessment. NICE. Chris987, I think it was more the sleek fit of the turtleneck that was wrong here because it shortened my waist. My shoulders looked too narrow too. This top looked SO much better. Thanks for your always sweet words, and I’m high fiving your Thanksgiving traditions. Eliza, as always, you are most gracious. Adding cream to outfits can do wonders, in my experience. April, cream coats are a lot mote robust that you think. I’ve had this one for 8 years, and it looks good. Sterling, you like cropped pants! Loved hearing it. Shevia, thanks for chiming in, and being as lovely as ever. Wooohoooo, Tanya. I’m high fiving you on EVERYTHING you wrote. You are my first little Style Sis, through and through. Love it. Much love to you. RobinF, go Team Bread Pudding and ‘80s Pants. Why not. Lisap, thanks for the sweet words. You can leave white and cream boot wearing to me (it’s signature), and I’ll leave black boot wearing to you (your signature). See how wonderfully the style world can even out! I’ll share my sweet potato mash recipe soon. HAH, Laura. YES. The buckles loosen to permit extra dessert eating. And I’ll be making the SAME bread pudding. Love traditions. Beth Ann, I look forward to seeing you sport new trouser silhouettes. (I wear knee-highs under these trousers, or full pantyhose). Diane, you’re such a honey. Thanks for the gracious words and I’m waving at another earth tone lover. I have to run off to see a client and friend, but I’ll be back to reply to the rest of you later. How do you store the 8 year old cream coat AND keep it so pristine & spotless ? Happy Thanksgiving to you and USA/Canada based YLF-ers! I love this outfit! The earth tones combined with the cream are just lovely on you. With all your wonderful guidance, I think I’ve discovered that wearing a certain amount of trendy items helps keep my wardrobe and approach to fashion feeling fresh! I would wear these trousers in a heartbeat! Happy Thanksgiving to you – enjoy your holiday! Gorgeous high style! The new bag with the plaid is definitely a jazzed combo, and I love the giant pearls (always have ). Oh and the earth tones are sumptuous, wonderful for Thanksgiving. If only I had your stuff. I could make the cousins jealous, hehe. A lovely outfit that would be SUCH a challenge on my frame! Your dinner contributions sound so yummy. Happy Thanksgiving! The first thing I noticed was how amazing your new jumper looks with your cream coat, and how your fab ‘do, pearls and booties further enhance that effect. Love!! Those trousers are just so fun, Angie, and the proportions with the booties and tucked in jumper are perfect. 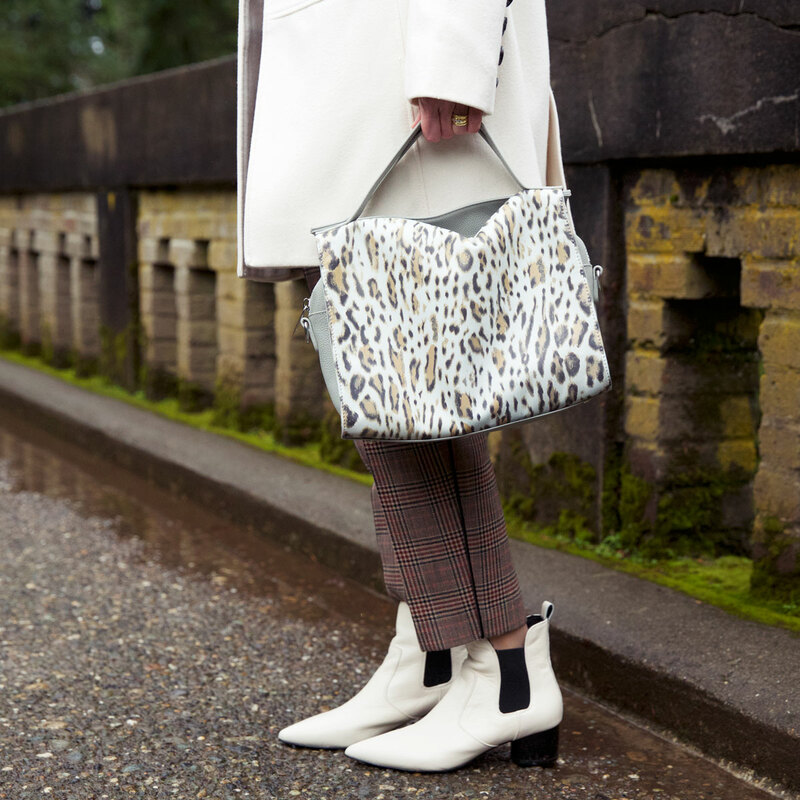 And the pattern mixing with that amazing animal print bag just makes me happy. Me too. How do you make the Thai sweet potatoes? Your Thanksgiving outfit is perfect. I can’t wait to see Greg’s beautiful photos on the computer screen which is larger. Happy Thanksgiving. Great fall colors for a pretty Thanskgiving outfit! Love how the pants match the colors of the fall foliage in the background of the photos – well done! So fab! Love the bubblegum pearls! And I finally pulled the trigger on that handbag after admiring it for weeks! Ahhh – such a great outfit Angie! And you look gorgeous (as usual!) love everything about this outfit – the high waisted trousers make me want to go out and buy some right now – and the touches of cream colors soften up the masculinity of the trousers and give it all a very feminine vibe. (which makes this a winning outfit for me!) Plus – Greg’s photos are beautiful and make me sigh in wonderment at the composition and colors! I hope that the 3 of you have a wonderful Thanksgiving day – full of love, good food and friendship! I love, love, love those trousers! They remind me of a teal green pair I had back in the day. I like how you’ve softened them up with the cream sweater and booties. Thank you for including your thought process on the proportions for the outfit. Your contributions to the Thanksgiving meal sound delish! Happy Thanksgiving to you, Greg, and Sam! I’m back, and thanks for the really nice comments. Susie, it’s stylish that you can appreciate a look on someone else that you would not wear yourself. I enjoyed your astute assessments. Many thanks. Suz, Bijou and Merwoman, thank you. Change the trousers to a grey glen plaid, and this is your look. (The hair desperately needs a cut so sweeping it back is the order of the day at the moment). Thanks JAileen, BC, Janet, Sara L, Emily K, Jamie, Joy, Mary, Meredith, and bonnie. As always, you’re lovely. Diana, that IS interesting, isn’t it. Why the skirt and not the pants? I’ll be posting about those recipes soon. Dana, it’s been a while, but we managed to get an outfit post in this month. Thanks for the enthusiasm. Jenn, HAH. I do appreciate my so called super power. Thanks for the compliment. Elly, I wish I could let you in on the secret – but I don’t have one. I store my cream coat with my other coats in the coat closet, and have it dry cleaned every season. Rachy, you can borrow my stuff to make the cousins jealous. Utah, I like to wear low rises too. Inge, aren’t you sweet. Thanks for the detailed assessment and making me smile. Stay tuned for the recipes. Zoeichic, matching the Fall leaves was by design! Oh, Marley. You are most gracious with your compliments. I’m high fiving you on liking to make an outfit soft and pretty. Karie, my ‘80s fashion buddy. Thank you. Wow! My favorite part is the coat-bootie pairing! Gorgeous! Love the waist details of these pant – it makes them more fashion forward and the flood length is in proportion to every thing else. And that chunky pearl necklace, swoon! Love the whole outfit! Thanks, Sarah and KLauren. You're very nice. Wow, Lisa (the Sequinist). I'm touched by your generous compliments. YES. The cream cashmere top is versatile and looks good semi-tucked into most of my other bottoms. Thank you so much. Donna, an accidental pairing that works well is extra fun. You look stunning in white and cream, Angie. They are your colours. I love seeing that coat so much, and love the twin set effect with the sweater. The new leopard bag is fab too. Happy Thanksgiving to you and your family. You look radiant, Angie. its such a great outfit, and you wear it well! Happy Thanksgiving – you look stunning! Wow, those pants are to die for on you, Angie. I love the covered buckles at the waist and the pleats with tapered legs. I agree with you about keeping tops tucked with these pants, to show that great waist detail. Maybe a cropped top would work, if it shows the waist. They remind me of some pants I wore and loved in the early 90s. (I was probably behind the times, since you had similar ones in the 80s!) The supporting act of cream pullover, coat, and boots, plus pearls is gorgeous. Beautiful. Love the way the coat coordinates with the sweater–my new obsession. Happy Thanksgiving! Brooklyn, I love that you love my OLD coat. Golden Oldies can be the best. You're sweet, Sally & Tulle. Thank you. Firecracker, I thought of you when I bought these trousers. The silhouette is soooo "you". Whoa , I am all aboard with the fab high waist and side tab belt. And the matchy- matchy cream elements are great. I have been looking forward to this outfit, and you look amazing. Greg’s photos are so artistic and how special to live near such a beautiful arboretum! Thank you for sharing how you make the Thai dish in Off Topic. Always, always stunning! I love the entire outfit but that bag is amazing! The pictures are beautiful! Hah, Debbie. You are quite the bag lady. High five, and thanks for the ultra sweet words. Unfrumped, I know you like to wear the same silhouette of trouser. Fun. Joy, you are always so nice, and it’s a pleasure. In all my excitement about your gorgeous outfit, I completely forgot to say that I love Greg's photos of the arboretum. It's such a beautiful place and I fondly remember our walks there! Something happened with my previous comment, disappeared , and again. You look wonderful. love your pants, hair, bag, love all. Happy Thanksgiving day to the beautiful Lady. Ah, I missed your comment, Cynthia. Thanks for the kind words. Mirjana, you make me blush. Thanks for chiming in again. You too, Inge. It's glorious that we have such FUN memories of the arboretum together. Priceless. This is beautiful, and is a perfect thanksgiving outfit! I love your tradition of where to take photos and I so appreciate your thoughtful description of how you chose the top with the pants. That helps me so much to know why certain things work and others don’t… I hope you have a lovely thanksgiving! Sarah, you are very gracious. Thank you. You look gorgeous, modern and chic in this Thanksgiving day outfit that is also comfortable and showcases your beautiful earth tone pieces. This is perfect for the day and the season. Love the bridge shot and the last two with your cute little ankle skin peeking through and the close-up of your smooth, gorgeous skin and the textures and belt details of your pants. I’m so glad you honor tradition and return to this stunning place where Greg’s photography captures you and nature so well. Your menu contributions sound divine and I wish you wonderful, joyful times with your friends. I’m very thankful for all the hard work and enormous efforts you, Greg and Inge offer to all of us and I’m delighted Sam is there to motivate and keep everyone in line. I adore your ability to style These trousers (which look very tricky to my eye) AND your ability to Keep a White coat for years and years in muddy weather as White as freshly purchased. 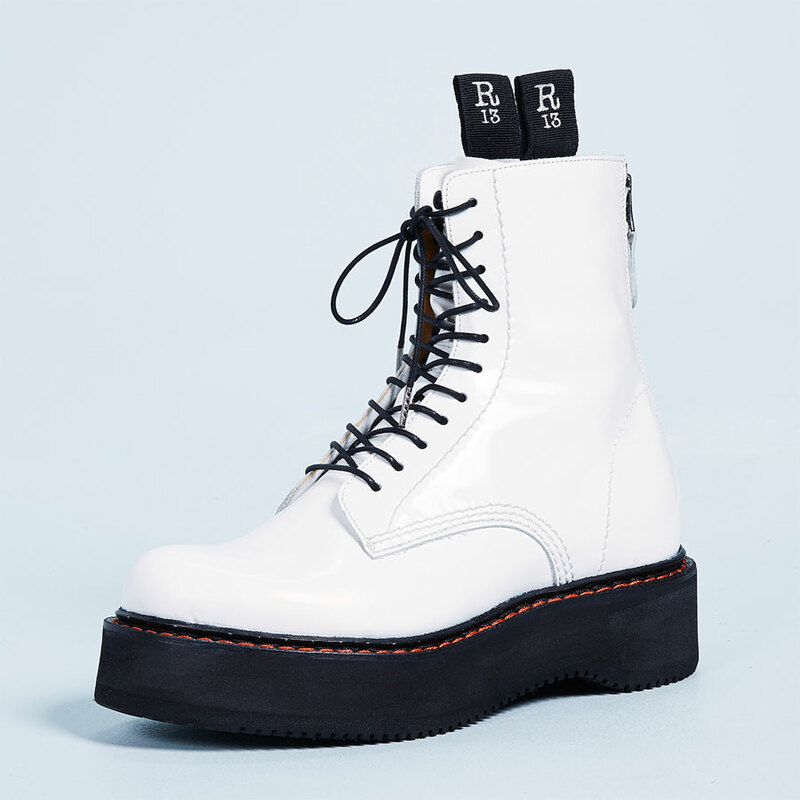 Same for the boots – White shoes wouldn’t last a day with my feet in and our wet Austrian winter weather! Vicki, your words are ultra gracious and touching as always. Thank you so much. You look so stylish! I love those pants! HAH, Cheryl. Your ’80s gene appreciates the silhouette of these trousers. High five. I love seeing how you take a color or style that is not something I’ve seen in the past or would normally associate with your style and then you show HOW to make it work for you. It’s always a delight to see the transformation and this earthy toned look with no fun citrus colors or sour colors is perfect example of the fact that any look can work if one simply incorporates the right elements to make an outfit work. I adore this earthy look on you Angie! Lisa, you are a honey-pie. Wow such a best look and trendy style …..this one is different style it’s really suits on you…nice combination….looking so pretty….